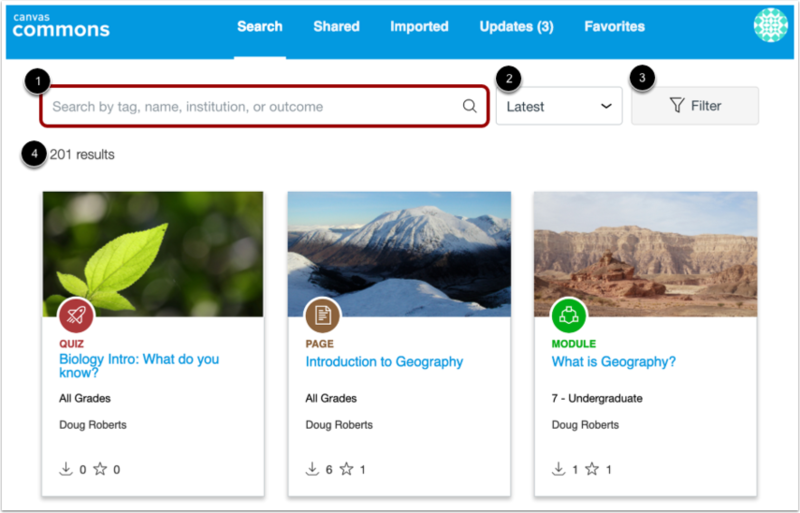 You can use Commons to search for and import content into your Canvas courses. You can also share resources to Commons from your Canvas courses. To enable Commons in your Canvas instance, please contact your Customer Success Manager. To access Commons, you need to have an email address associated with your Canvas account. Users who can create or edit course content in Canvas also have access to Commons. This includes Admins, Teachers, Designers, and TAs. If an institution does not want student TAs to have access to Commons, an account admin should create a custom TA role in Canvas that does not have permission to create or edit course content. The Resource Previews feature is currently an optional feature and must be enabled by an administrator in Commons. If your institution has not enabled Resource Previews, the resource details page may look different. A resource in Commons can be a course, module, quiz, assignment, discussion, page, document, video, image, or audio file. Each resource type has a unique icon. Look for these related colors and icons when searching for resources. To find resources in Commons, use the search field . You can search for keywords such as author, institution, or title. You can also search by outcome, consortium, or group. To sort search results by Most Relevant, Latest, Most Favorited, or Most Downloaded, click the Sort by drop-down menu . To apply search filters to your search, click the Filter button . Based on your selected filters, the number of results are displayed in the page . To search everything available to you in Commons, leave the search field and filters blank. Note: Depending on the account settings set by your Canvas admin, you may be unable to view and/or share public content. Approved Resources : If your admin has enabled approved resources, you can filter results to only show approved resources. 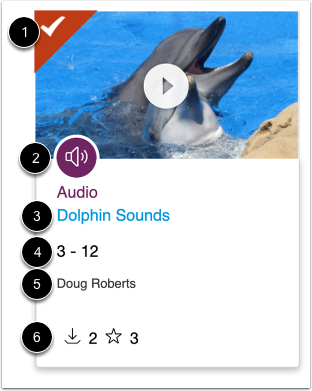 Type : You can filter by resource type (e.g., Courses, Modules, Assignments, Quizzes, Discussions, Pages, Documents, Images, Videos, or Audio). 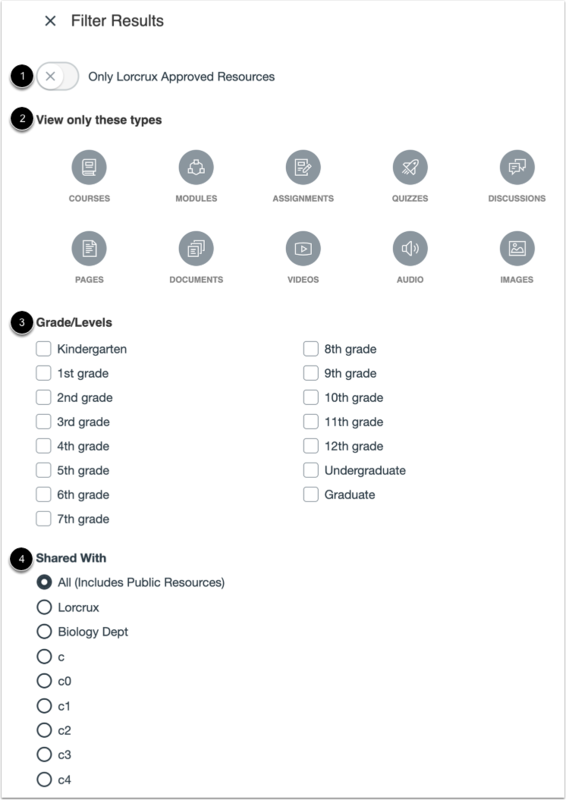 Grade/Levels : You can select specific grades or level of education to narrow your search (e.g., K-12, Undergraduate, Graduate). Shared With : You can filter results by resources shared publicly, in your account, in a group, or in a consortium. Approved Resource icon : Identify institution-approved resources. 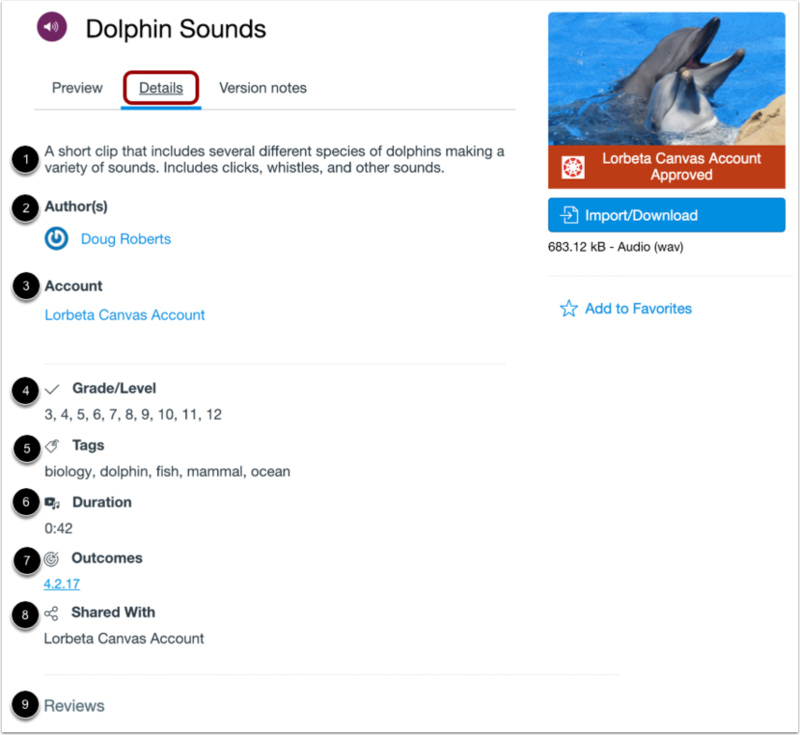 Note that the approved resources feature must be enabled by an account admin. Downloads and Favorites icons : View the number of times a resource has been downloaded and imported or added as a favorite. To preview a resource, view more details, or import a resource, click the resource title. To preview resource content, click the Preview tab. The Preview tab is shown by default. 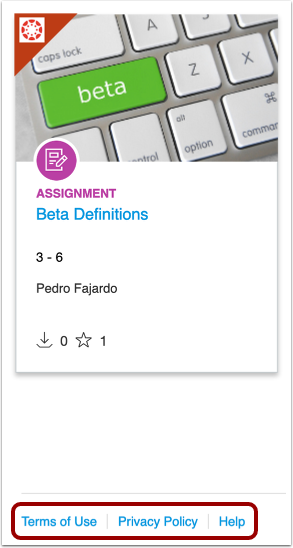 When you are ready to import a resource, click the Import/Download button and select a course. Note: Not all resources will display all details. Listed details depend on the type of resource and information provided by the author. To view any updates made to the resource, click the Version notes tab. 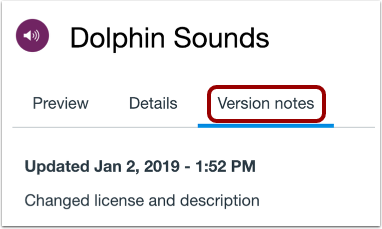 Updates are sorted by date and time and may include a description of changes made. 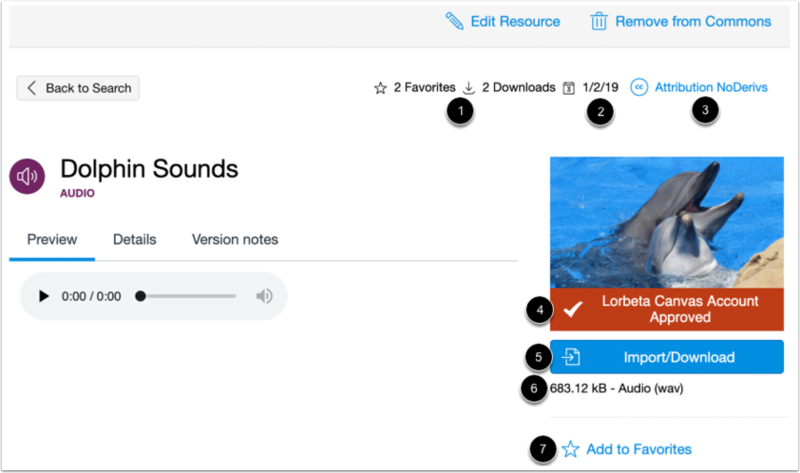 You can share a variety of resources to Commons from your Canvas course, including a Canvas course, course content, and files. Previous Topic:What is Canvas Commons? Next Topic:How do I preview resources in Commons? Table of Contents > All Users > How do I use Commons? Re: Tips for training a faculty member who will be training faculty members?